← Allison Williams Blows Up Twitter After Peter Pan Debut… Why? The official Facebook page for the popular Divergent movie series shared the newest teaser image for “Insurgent“today. 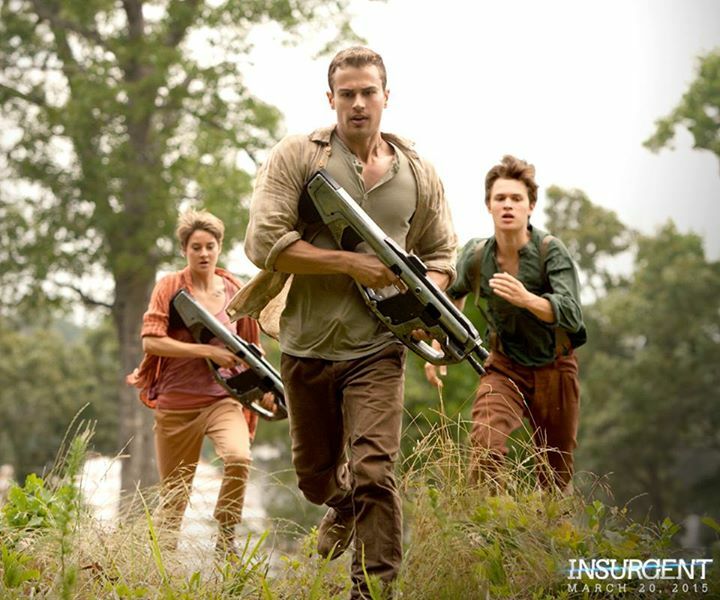 My favorite Theo James (Four) is front and center for the run of his life. On-screen siblings Shailene Woodley (Tris) and Ansel Elgort (Caleb) trail behind him. Apparently, another video trailer is coming our way on December 12th. All rights to the image belong to Summit Entertainment and Lionsgate. This entry was posted in Entertainment, Movies, News and tagged Ansel Elgort, Insurgent, Shailene Woodley, Theo James. Bookmark the permalink.